Three years ago we had a fantastic canal boat holiday in Wales. We did the trip with my parents and my sister’s family, but all hired separate boats so everyone had their own space. Theo was nearly a year old, so it was great to have extra hands to help and his older cousins were kept occupied by having a baby to play with. Inevitably we all started talking about doing a similar thing again, but wondered if we could do it somewhere where we stood more chance of being guaranteed warm weather. 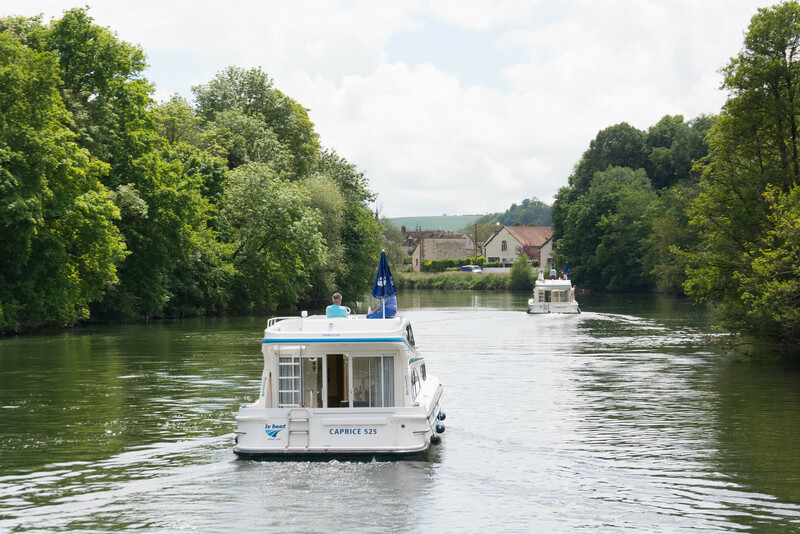 France was an obvious choice as there is a huge network of waterways, the dogs could come too and it didn’t necessarily involve a really long drive. 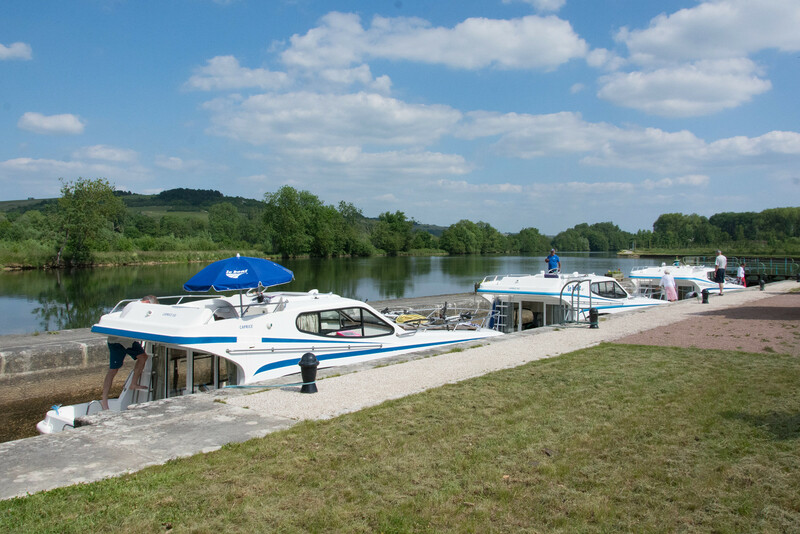 So last Sunday after two years of dithering about exactly where in France we wanted to go and the type of boats we wanted to hire, we finally set off on the trip. 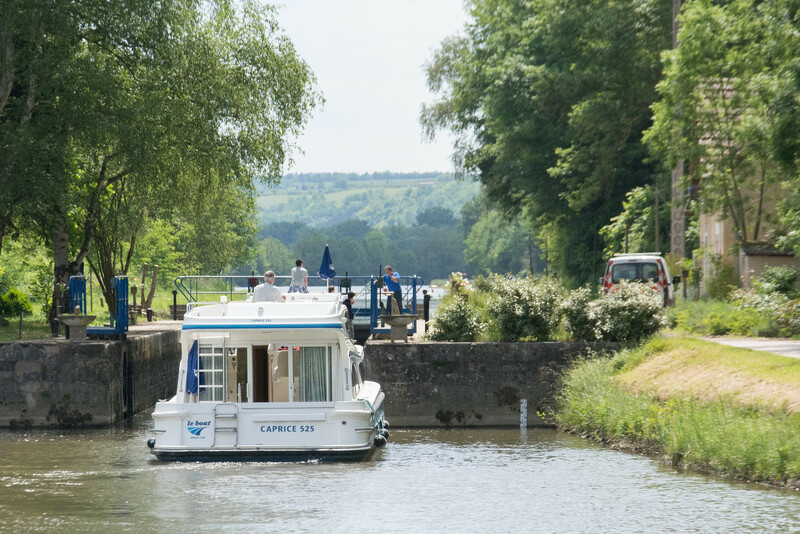 A canal boat holiday in France is different from one in the UK in almost every way. The canals are wider to begin with, so instead of being confined to narrow boats with 4 foot double beds, you can hire river boats which are more spacious, with bigger beds, a fly bridge and space to move around in. There are still locks to negotiate, but even these are totally different. Most are electric and nearly all have a lock keeper. Instead of putting one boat at a time through a lock (as we did in Wales) we went through them together and some of them were large enough to take four or five boats. But electric locks don’t necessarily mean less work! It took about 20 minutes to go through each one and there was often another only 10 or 15 minutes down the canal. On one memorable day we did 10 locks in 6 hours (with a break for lunch) which was pretty hard work! Living on the boats for the week was great fun. We found a different place to moor up every night, varying from rural river-side moorings, to the hustle and bustle of the big city of Auxerre, but wherever we chose there was always a supermarket and boulangerie within a few minutes cycle ride which meant croissants for breakfast and fresh baguettes for lunch. I will really miss this part of the holiday! 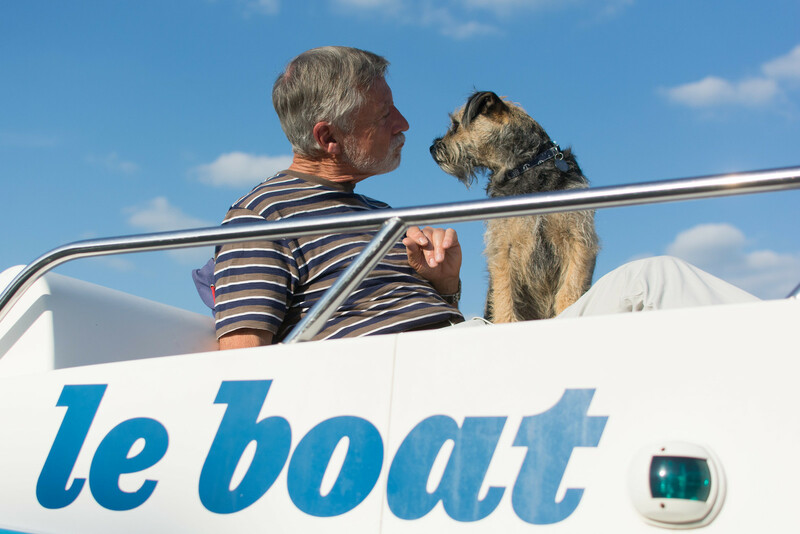 The dogs mostly adjusted to it all pretty well with the exception of our big dog who, on the first night, managed to get caught straddled between two rapidly separating boats in the marina, fell in the water and refused to go back on board for quite a while! The Beagle who is incredibly food motivated was quite happy hopping between adjacent boats following the smell of food! Having booked the trip last year I asked the operator Le Boat if they’d like to collaborate on this post and they kindly threw in a few extras in exchange for a mention. One of the things this meant, was that we had on board wifi which ran off the 3G network, but we were limited to 1GB in downloads for the week. It was just enough to keep up to date with emails and the news, but not enough for anyone to get sucked into Facebook or watching videos online! We were in a lot of respects woefully under-prepared with entertainment for Theo having not downloaded a single app or cartoon onto our iPads, but it ended up working out quite well with all the kids finding entertainment by messing around with their bikes, colouring in, reading and playing games. It’s the kind of holiday I used to experience as a child, but which I honestly thought was beyond our reach in a world where we all now expect to be connected 24/7. Theo loved having the attention of his teenage cousins and adapted pretty well to all the changes, late nights and requirement to wear a life-jacket. When we did our Wales trip we spent a lot of time walking along the tow paths with Theo in a buggy as the narrow boats only traveled at about 3mph, this trip the boats were faster and it wasn’t quite so easy to hop on and off which meant more time spent on board so it was harder to distract him at times, but it wasn’t a serious problem. As far as meals, we mostly ate on board (another post coming about that next week) but also had a few good (and one pretty terrible) meals out along the way. Self-catering is definitely easier when children are involved! All in all it was a brilliant trip which has left everyone with some really wonderful memories. The canals we explored were lovely (especially south of Auxerre,) it was great to be in France and the time spent in the car was about right for everyone (2 hours in the UK and 4 in France) but it’s not a cheap trip which means it’s not something we could or would want to do every year. However holidays that bring the whole family together like this are very special and I think worth making some sacrifices for. With thanks to my sister Jane for use of some of her photos! The famous Millie t-shirt and a boy’s love of pink. This holiday looks a picture perfect family get – a -way! Also your photos are brilliant quality can I ask what camera you used? I use a Nikon D7100 and my sister uses a Nikon D610. There is (sadly) a noticeable difference in quality between photos taken on my (£900-ish) kit and her (£2k-ish) kit, but you can go a long way to improving images just by having good software to process them with afterwards. We both use Lightroom. Ooo this looks like a lovely style of holiday. I love boats and could see my little family enjoying something like this. What an amazing and very special holiday. This is something that I really fancy doing, so I really must look into this a bit more seriously. Thank you so much for linking up to #SummerDays – really hope you can join us again next week! Looks like a great time was had by all and good that you managed to have more traditional break without the need to ‘connect’ to the www all the while. My niece is 15 and despite loving her ipad and iphone she still requests we play ‘pop and hop’ board game she’s played since she was Theo’s age. It looks like a beautiful holiday, I love all your photos, especially the one of the sunshine and the bikes. You can’t beat family time, such lovely memories. What a lovely way to explore France as a family. I am definitely thinking boats are where we are heading next. 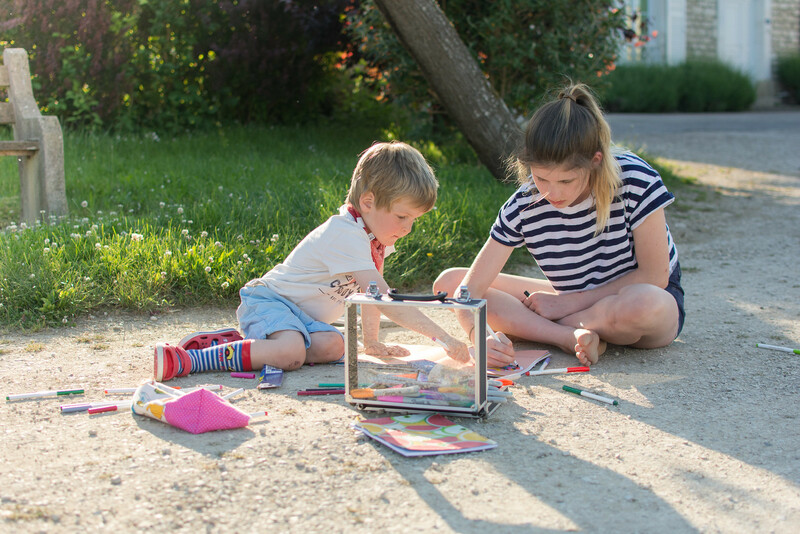 The lack of internet was actually something I really liked about our holiday in France – and it is me more than anything that is dependent on it.